I have a thing for wreaths. I have made A lOT of different types of wreaths over the years, my favorites are the ones made from unconventional items. 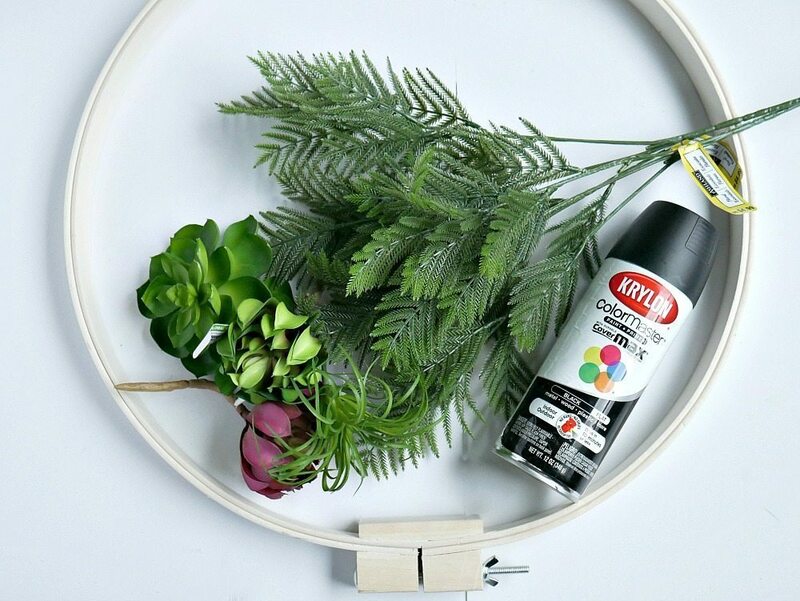 So when I discovered that I was lacking a new wreath for our front door this season, I decide to try my hand at making a Modern Embroidery Hoop Wreath. 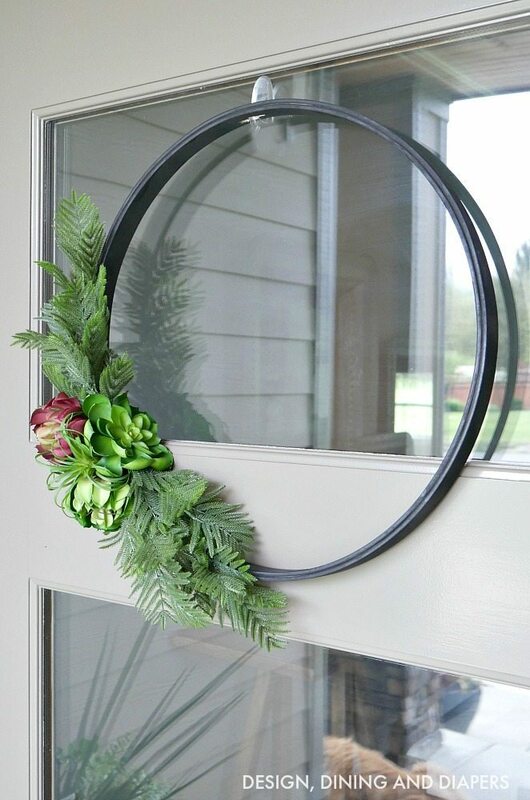 I created the wreath to coordinate with our spring porch decor that I revealed yesterday. 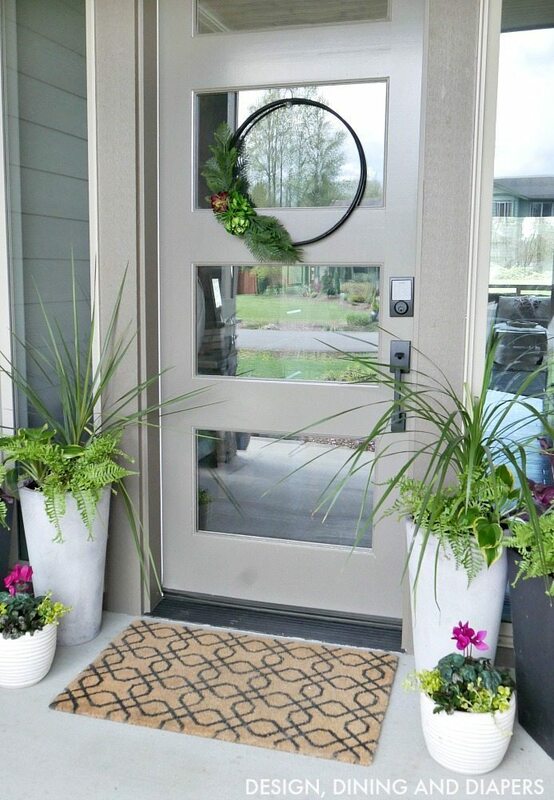 I wanted it to be a darker color to stand out agains the door and also include lots of greenery. I have really been loving the whole embroidery wreath trend happening. I love how modern they look but can also be classy and cute. You can really turn them into anything and with the exception of waiting for the spray paint to dry, the wreath probably took me 10 minutes to make! 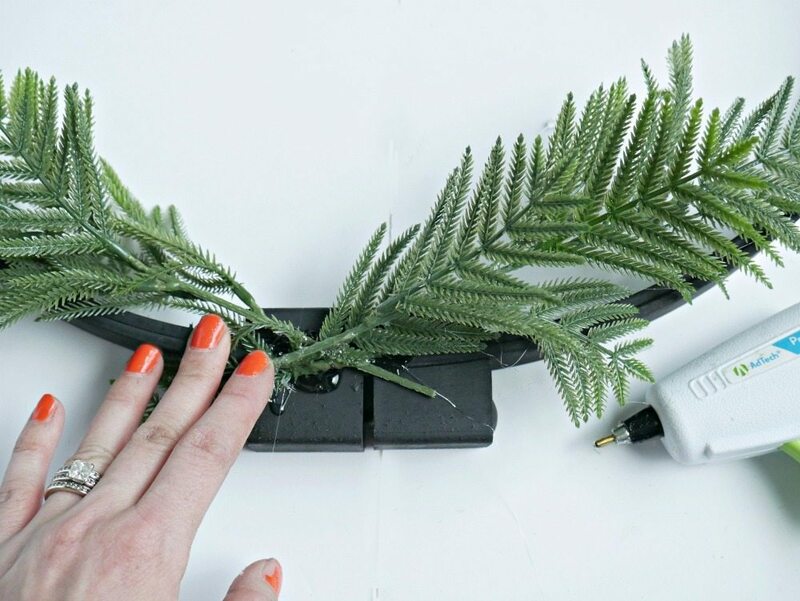 Spray paint your wreath black and wait for it to dry, then start heating up that hot glue gun! 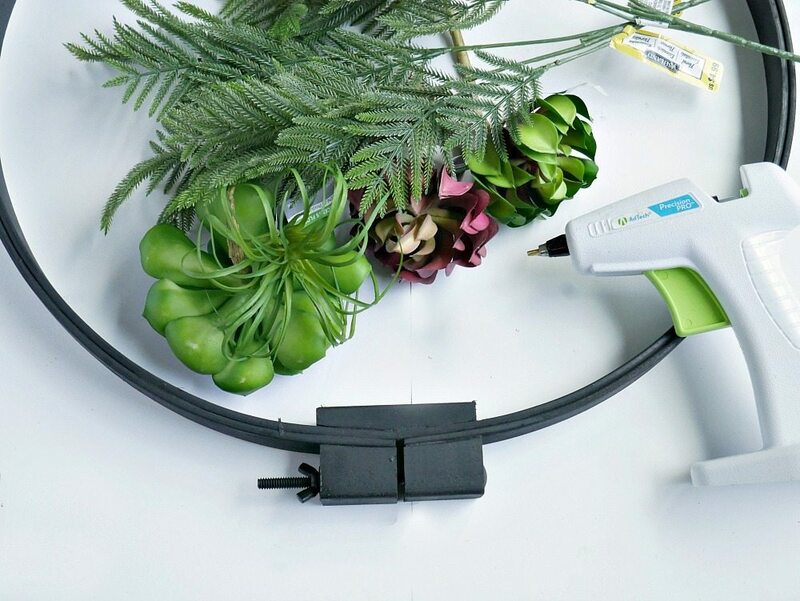 A lot of faux flowers have wire inside, so you will want to use wire cutters to trim down the stems of your greenery and succulents. 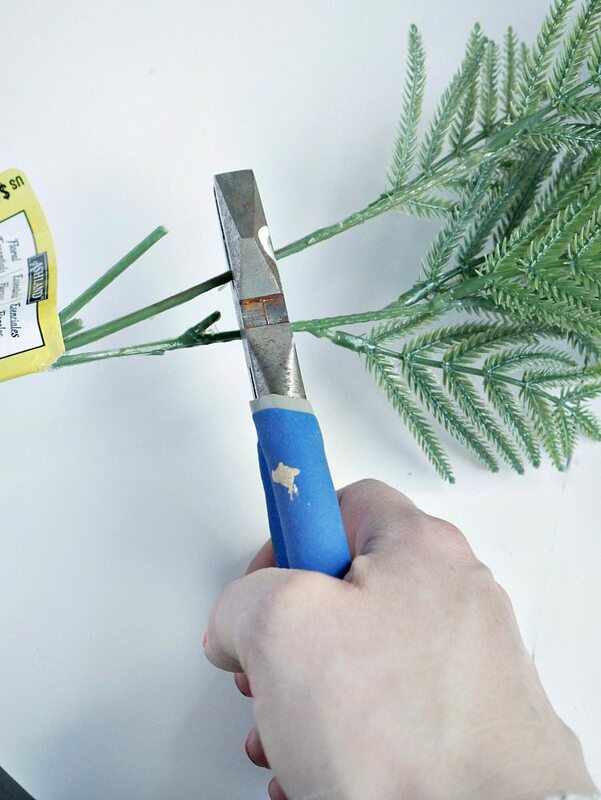 Start with the ferns and hot glue them onto the thicker part of the wreath (the closure). 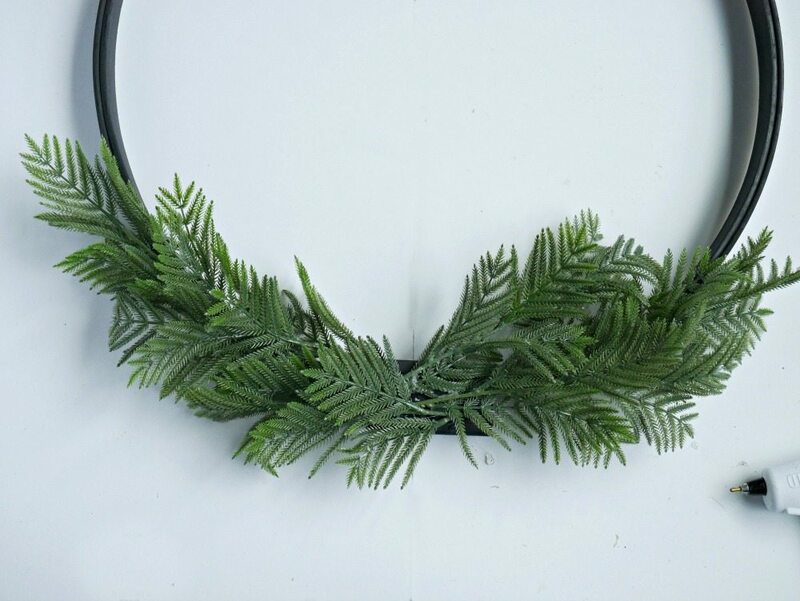 I glued mine so there was more ferns in the center of the wreath and then it slowly dispersed. 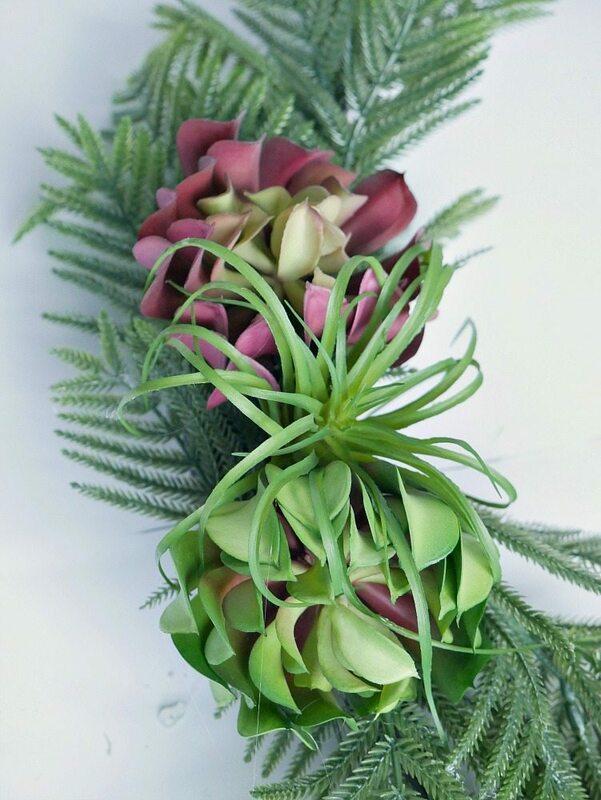 To top it off, add a few succulents with varying shapes! Do you have a wreath for every season? Make sure to pin this one for later! I can see it easily being tweaked for Fall and Christmas this year. I already have ideas! 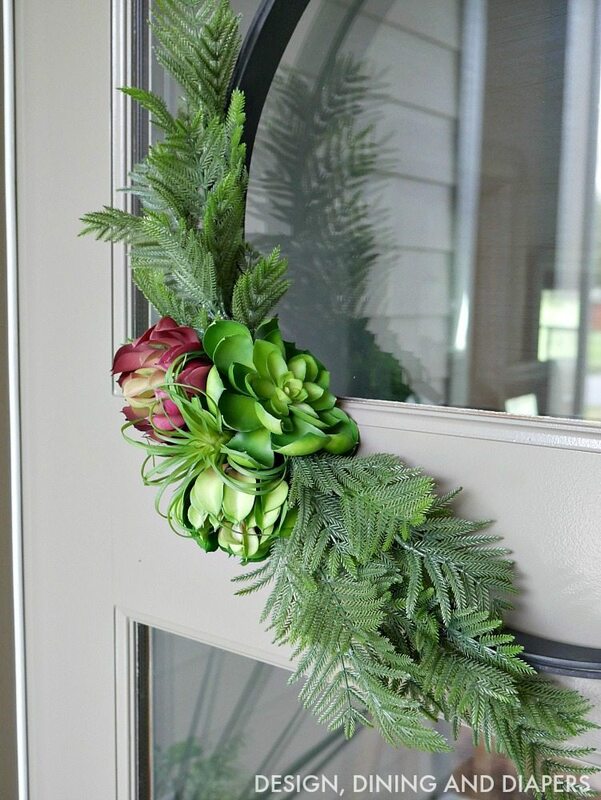 Your new wreath is so pretty and freshly modern. 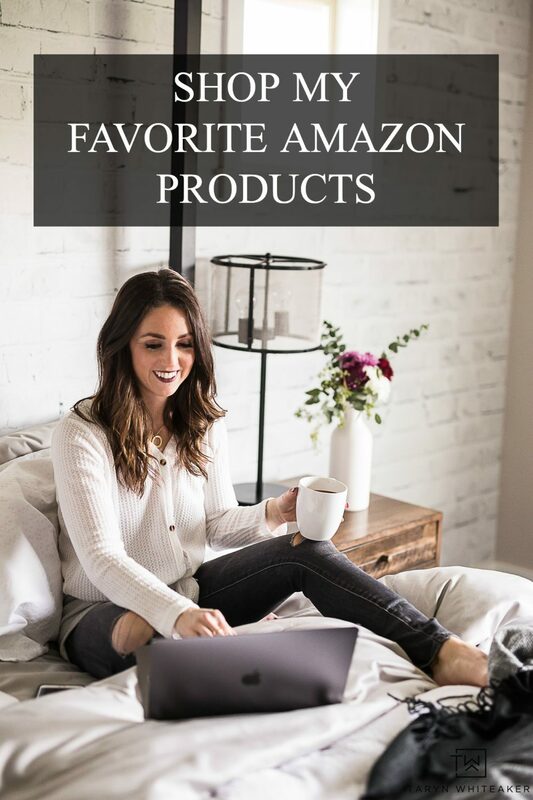 Thank you for sharing the how-to. I am loving the embroidery wreaths as well. I need to make one! ;) Yours is so pretty, I love the succulents on it. 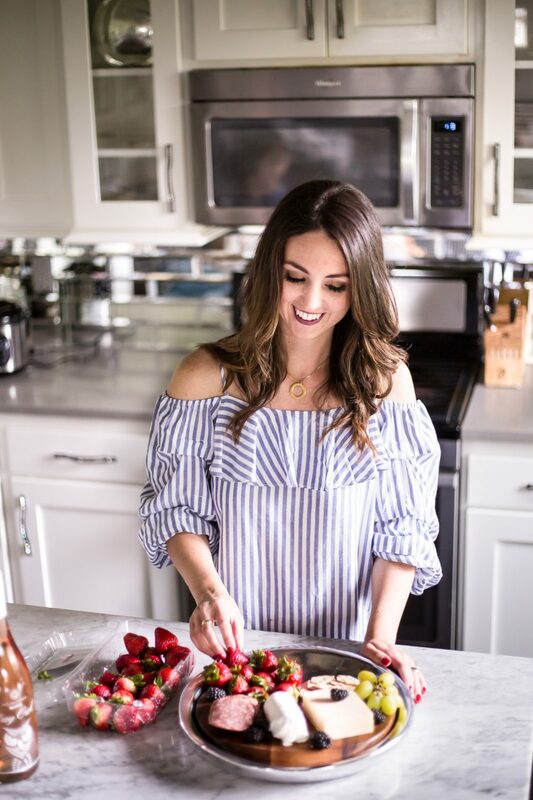 Thanks for sharing at Merry Monday this week.